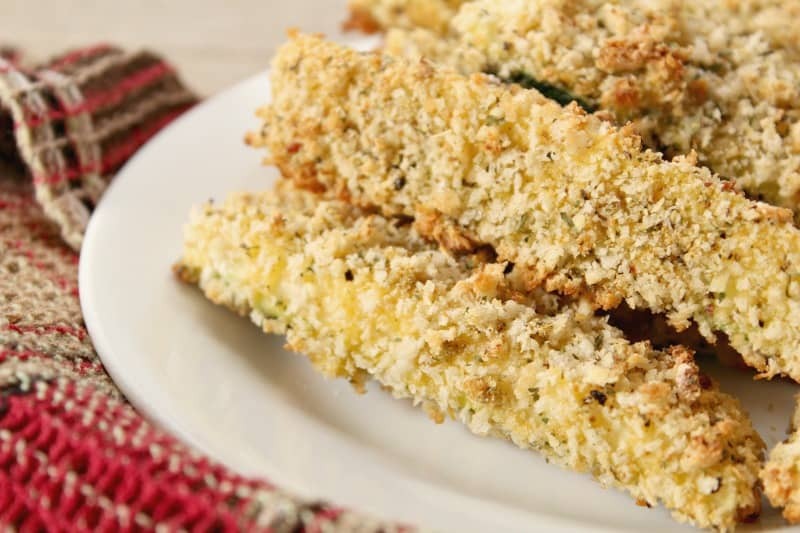 Low Carb Zucchini Fries are a quick and easy keto side dish that are full of flavor and crunch! If there is one downside to the ketogenic lifestyle, it is that not many foods have a good crunch to them. I am a textures person, and sometimes I just need to have something crunchy. Knowing that most things that “crunch” are high in carbs I set out to find some low carb alternatives. 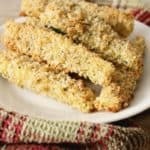 A quick google search and I found some low carb bread crumbs that would work perfectly for these Crunchy Keto Zucchini Fries. 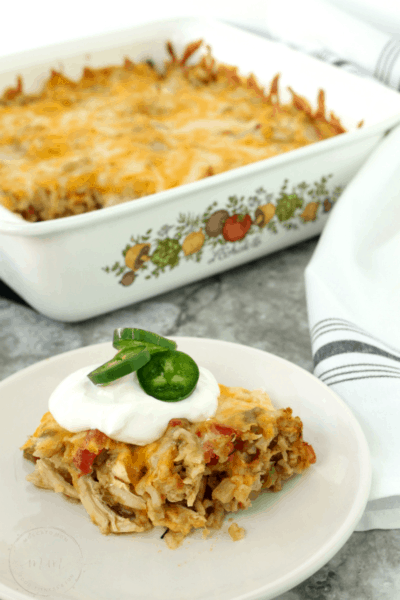 Now, even if you do not have low carb bread crumbs available, you can use crushed pork rinds as a good alternative. Never in a million years did I think I would ever eat pork rinds – but they are so versatile and full of flavor that I have learned to love them. 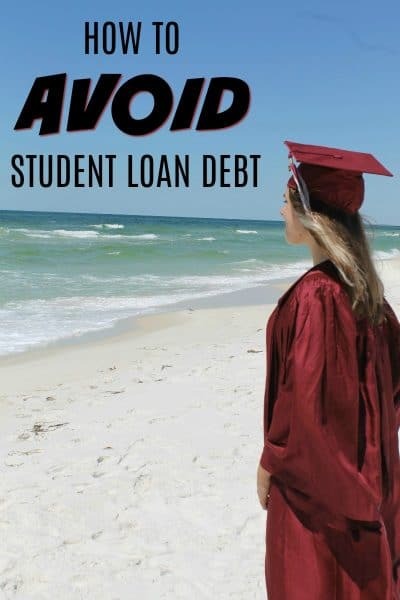 You can crush them up by putting them in a ziplock and pounding on them (bonus: stress relief) or putting them in a food processor. I like to keep mine fairly big though so I get the most crunch possible. 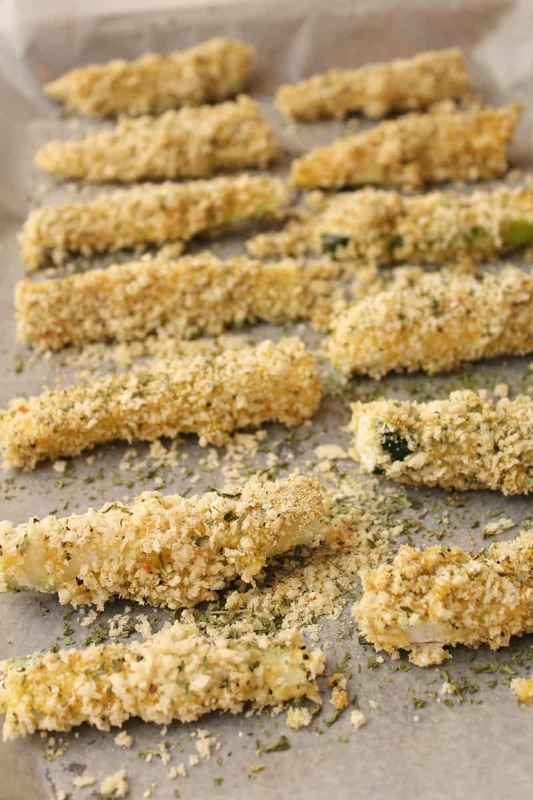 Each serving of these Crunchy Zucchini Fries has 6 net carbs, 11 total carbs, 5 g fiber, 22 g fat, 14 g protein, and 282 calories. This earns it an “A” rating. 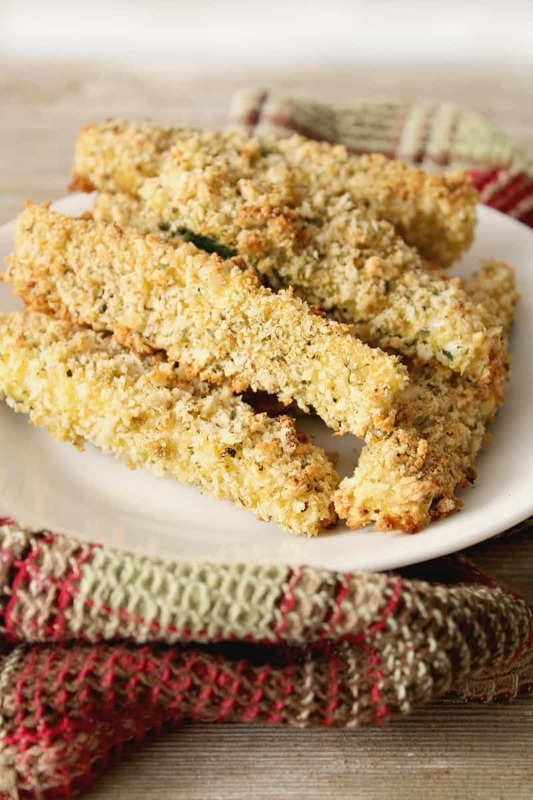 These simple and delicious Low Carb Zucchini Fries will satisfy your cravings for CRUNCH while keeping you within your daily macros! Your choice of favorite dipping sauce. Take 3 mixing bowls, place beaten eggs in one, flour in another, and remaining ingredients in the 3rd. Make sure your 3rd bowl is mixed well. Dip your zucchini in the flour, then egg, then breadcrumbs. Make sure each fry is thickly coated and lay on baking sheet. Bake for about 13 minutes, or until golden brown and crispy. « Shop Small. Shop Local. 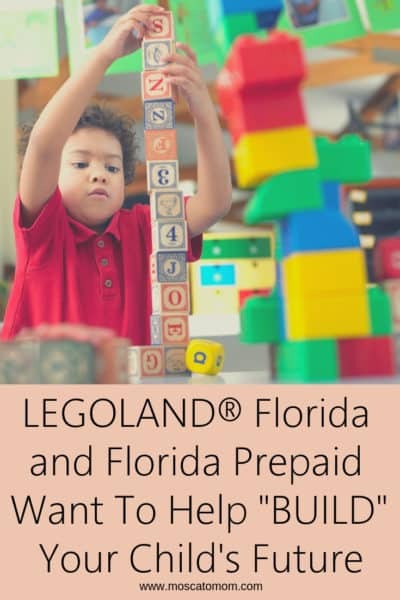 Shop Fresh From Florida.